When 15-year-old peasant Wang Lee is kidnapped by ruthless bandits, he is afraid his life is over. But his fear turns to astonishment when a mysterious stranger, beautiful young Mei Lin, rescues him to serve in the forces of the Heavenly Army. 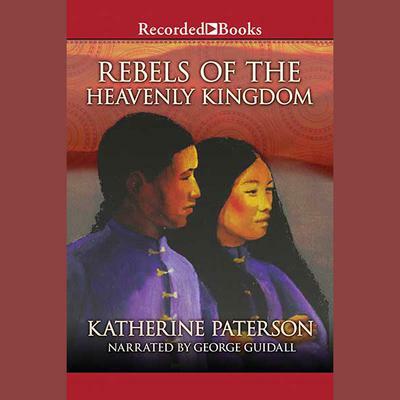 As they fall in love, the two Chinese youths are caught up in the heady Taiping Rebellion and the beginning of The New Age. Suddenly they are separated by a new edict: men and women will no longer live or work together. This award-winning tale is of one of Katherine Paterson's best. It was chosen for the American Bookseller "Pick of the Lists" and the Bank Street Children's Book of the Year. Set against a backdrop of one of China's most dramatic periods of history, it follows these two young soldiers as they are torn between the idealism of a movement seeking to restore the Empire to its people-and a perilous desire for each other.